Is it really healthy to be vegetarian or vegan? Here we give you the latest news about these feeding trends. Whether for ethical or health reasons, for sympathy with animals or following the example of many celebrities, opting for a lifestyle of vegan or vegetarian life, is a trend that has been increased over the past few years. While it is ideal to be able to include more vegetables in our dietSometimes not eating meat or food of animal origin is not as easy as just choosing the salad at all times. And that's where if you do not have a well-designed diet, health problems arise. 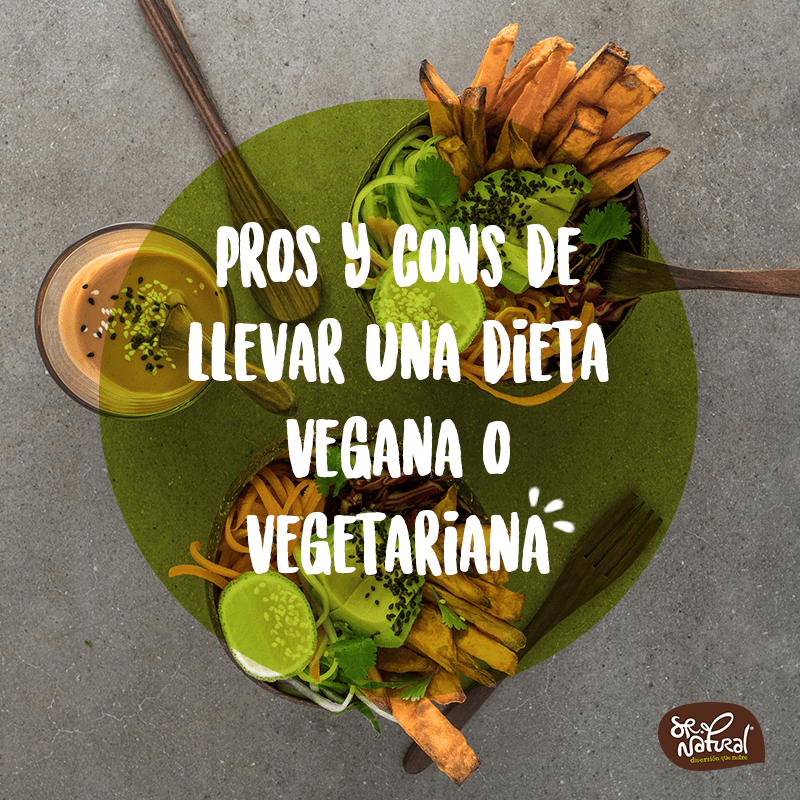 Error #1 The idea that everything "vegan" is healthy: There are endless processed products such as burgers, burritos, drinks and even vegan desserts. If you are replacing processed animal things with processed vegan things, at a nutritional level there is not much you are giving to your body. Real nutrition comes from whole and real foods. All processed products are high in sodium, some have a lot of added fat and sugar. Error #2 You eat the same amount as before being a vegetarian: Now your dishes should be bigger because you are not consuming all the foods you used to eat. And the caloric density of vegetables is lower. Otherwise, you will be hungry. Error #3 Limit protein consumption: When you think about protein sources, the first thing that comes to your mind is meat, chicken, eggs and protein shakes. However, there are other ways to incorporate proteins into your diet without consuming meat. Did you know that eating more protein reduces the risk of strokes? Take note! Seeds like chia, sunflower and flaxseed. Whole grain pasta such as whole wheat spaghetti and spelled lasagna. Another thing we should know is that when we combine cereals with the proteins of the legumes we can get better quality proteins. A well-known example are lentils, when we combine them with rice, their quality and quantity of proteins is higher than if we combined lentils with foods of animal origin.